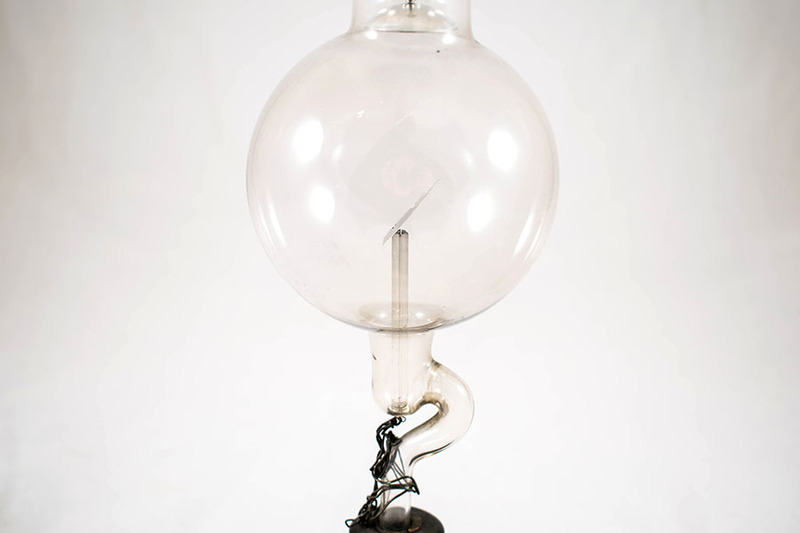 Designed by Professor Herbert Jackson of King's College, London in 1894, for experiments with cathode rays, this type of tube was found to be ideal as a means of generating X-rays, following their discovery by Roentgen in 1895. The cathode is made of aluminium and 'dished' to focus the electron beam emanating from it onto the so-called anti-cathode or anode. This is formed from a small piece of platinum set at an angle of 45 degrees to the axis of the tube, to direct the beam of cathode rays (and X-rays) through the side of the tube for convenience in use. The centre of the anode has become perforated due to bombardment by electrons. This would have destroyed the effectiveness of the tube; a common problem because of the thinness of the platinum used. 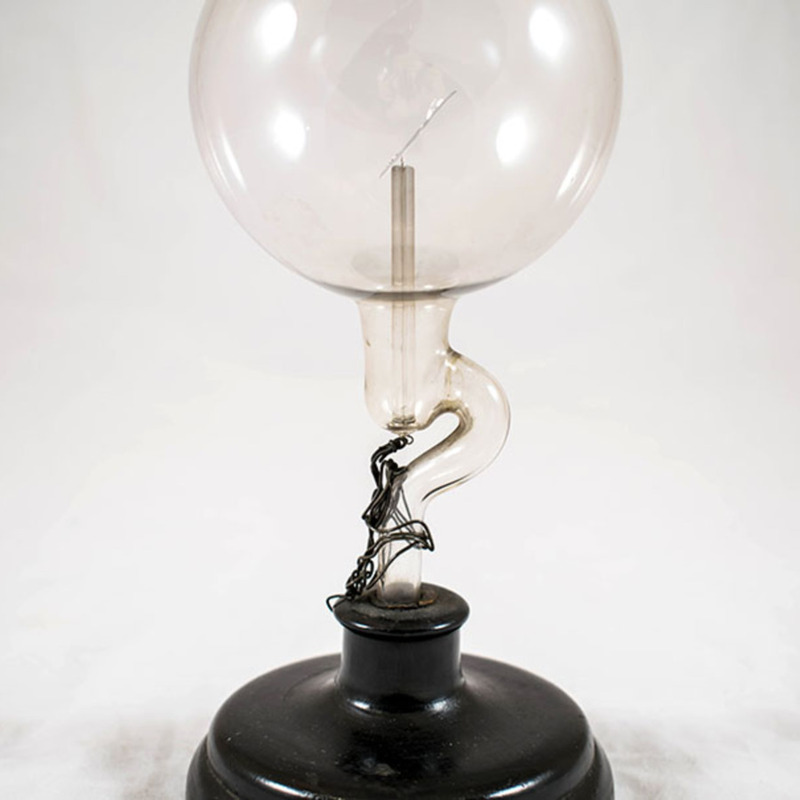 Although the tube was not designed for the production of X-rays, the focussed beam of X-rays originating from a point source made it ideal for X-ray photography, giving much sharper images than had been produced hitherto, and heralding the beginning of clinical radiology. Some three months after Roentgen's discovery in November 1895, Professor Salvioni of Perugia produced a device consisting of a fluoroscopic screen and a Jackson tube which he called a Cryptoscope. Dr John Macintyre in Glasgow and others recognised the value of this apparatus in examining patients and they were used in clinical practice within a few months. In such gas tubes with a partial vacuum, use of the tube caused the vacuum to be increased, so-called 'hardening of the tube', reducing the current passing through it, and the output of X-rays. To overcome this difficulty, various means of introducing gas into the tube were developed. A small quantity of potassium hydroxide, or iron covered with sealing wax, was heated in the side arm of the tube releasing a little gas and thus reducing the vacuum. It was good practice in those days to have several tubes of differing 'hardness' available for different clinical applications. This particular tube was used by Dr John Macintyre in the first functioning Radiology Department in the U.K. in the Royal Infirmary, Glasgow. It was manufactured by C.H.F. Muller of Hamburg to Dr Macintyre's specification. (Information supplied by G.R. Sutherland, FRCP Glasg). C. H. F. Muller; 1865-1927; X-ray tube manufacturer, “Jackson Focus X-ray Tube,” Heritage, accessed April 23, 2019, https://heritage.rcpsg.ac.uk/items/show/41. 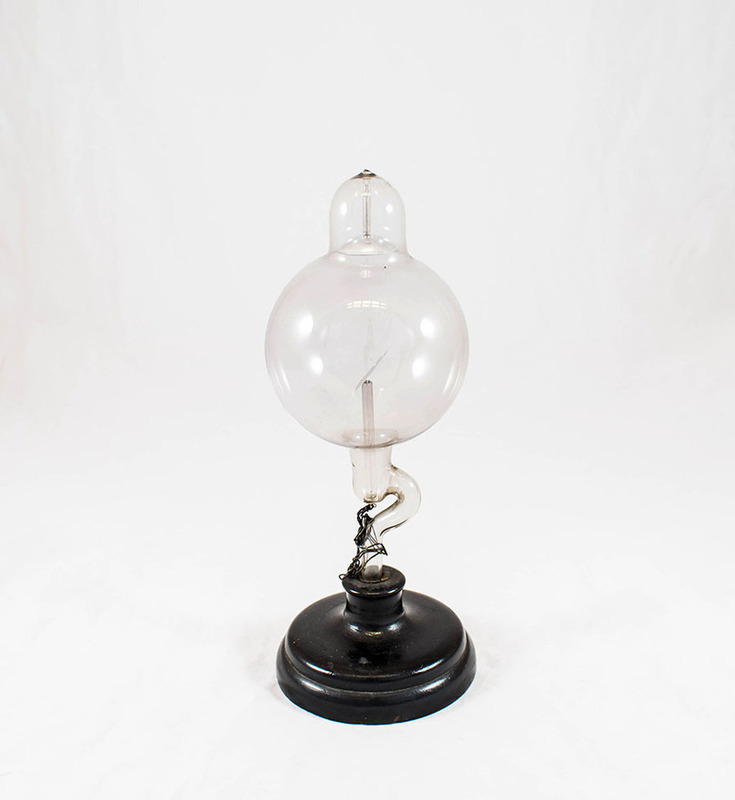 Description: Designed by Professor Herbert Jackson of King's College, London in 1894, for experiments with cathode rays, this type of tube was found to be ideal as a means of generating X-rays, following their discovery by Roentgen in 1895. The cathode is made of aluminium and 'dished' to focus the electron beam emanating from it onto the so-called anti-cathode or anode. This is formed from a small piece of platinum set at an angle of 45 degrees to the axis of the tube, to direct the beam of cathode rays (and X-rays) through the side of the tube for convenience in use. The centre of the anode has become perforated due to bombardment by electrons. This would have destroyed the effectiveness of the tube; a common problem because of the thinness of the platinum used. 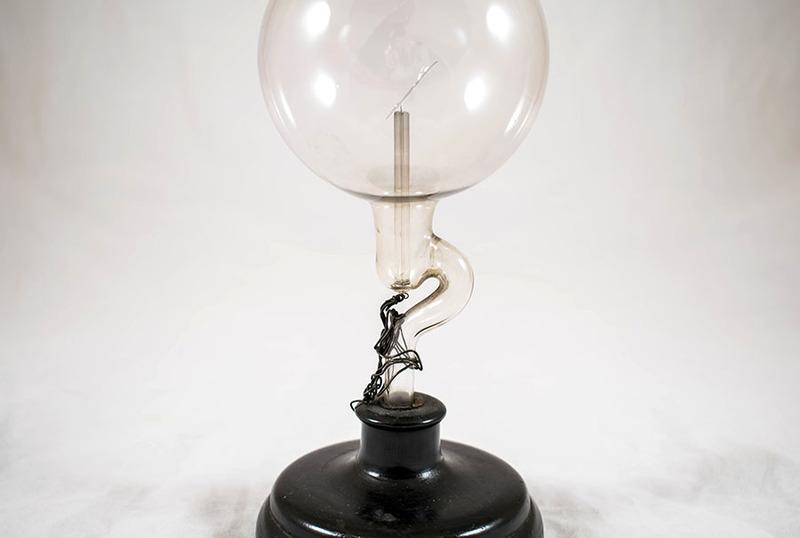 Although the tube was not designed for the production of X-rays, the focussed beam of X-rays originating from a point source made it ideal for X-ray photography, giving much sharper images than had been produced hitherto, and heralding the beginning of clinical radiology. Some three months after Roentgen's discovery in November 1895, Professor Salvioni of Perugia produced a device consisting of a fluoroscopic screen and a Jackson tube which he called a Cryptoscope. 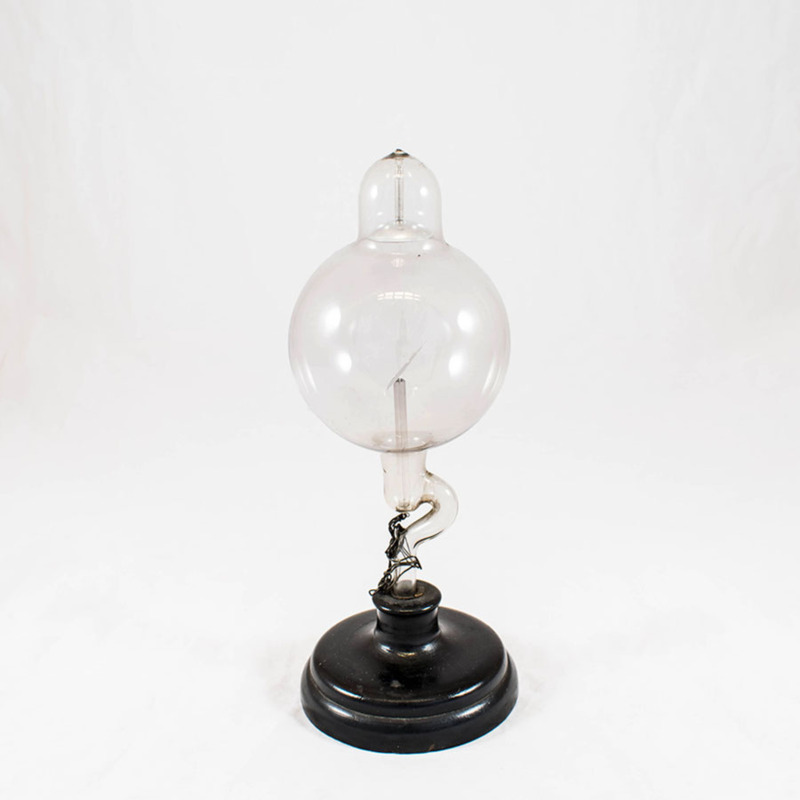 Dr John Macintyre in Glasgow and others recognised the value of this apparatus in examining patients and they were used in clinical practice within a few months. In such gas tubes with a partial vacuum, use of the tube caused the vacuum to be increased, so-called 'hardening of the tube', reducing the current passing through it, and the output of X-rays. 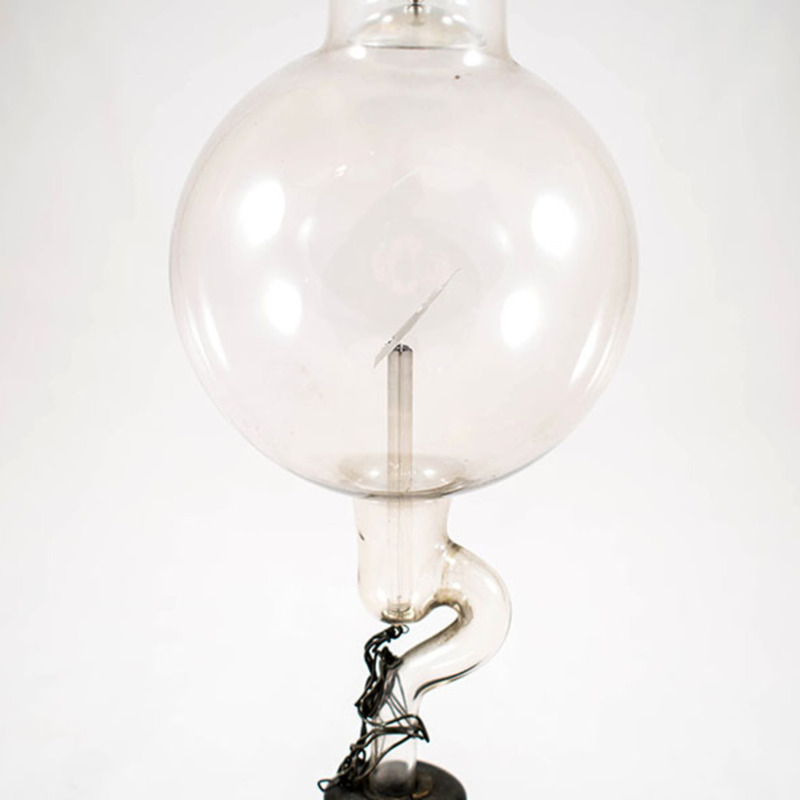 To overcome this difficulty, various means of introducing gas into the tube were developed. A small quantity of potassium hydroxide, or iron covered with sealing wax, was heated in the side arm of the tube releasing a little gas and thus reducing the vacuum. It was good practice in those days to have several tubes of differing 'hardness' available for different clinical applications. This particular tube was used by Dr John Macintyre in the first functioning Radiology Department in the U.K. in the Royal Infirmary, Glasgow. It was manufactured by C.H.F. Muller of Hamburg to Dr Macintyre's specification. (Information supplied by G.R. Sutherland, FRCP Glasg).